One night a couple of weeks ago, I was putting my youngest to bed. She brushed her teeth and, then, we snuggled together to read a book. As I kissed her one last time and reached to turn off the lamp, she asked, "Mommy, do you think everyone really has a special angel who goes with them everywhere and takes care of them?" Mentally, I was moving on to my next nighttime task and the question caught me a bit off guard. I was not quite sure how to answer, but, eventually, I managed to say, "Well, I don't really know for sure because we can't see the angels, but many people believe that we do have guardian angels. What do you think? Do you have a guardian angel?" Without hesitation, she answered "Yes! Aunt Marg is my angel." After that, Emily's emotions turned to sadness. "It's not fair," she said, "that sissies got to meet Aunt Marg and I didn't because she died before I was born. I wish I got to meet her and your Mamaw, too." These are things for which no parenting "How To" book could ever prepare you. "I know," I said. Then, I attempted to comfort her by saying, "You will meet them all some day in Heaven." Since this did not seem to console her, I attempted to change the subject. "What do you think Heaven is like?" I asked. She smiled and her face brightened a tad. "Oh, it's pretty Mommy!" Then, she described to me in detail what the castles will look like. She told me that all the girls get fancy, sparkly wings and all the boys get pretty wings, too, but they aren't sparkly because boys don't like sparkles. Eventually, the conversation ended with her still upset about the people she has never met, but feeling a bit comforted by thoughts of Heaven and pretty things. Emily: My [Sunday School] teachers told us that if you close your eyes and listen really hard, sometimes you can hear God and when we were saying the prayer [The Lord's Prayer] in church I did that and I really did hear Him! Me: Really? That's awesome! What did He say to you? Emily: He said my name and told me he loves me and told me to be good. Again, I was a bit taken aback by her statements. Really, these conversations shouldn't have surprised me all that much. You see, Emily has always had this innate relationship with God. Although I don't talk about it much here on the blog, we are Christians - Presbyterians to be exact - and we are very involved with our church. However, her connection to a higher power goes much deeper than the basic Sunday School lesson or the rote memory verses. It always has. This, however, is not a post about God or Christianity or even religion in general. This is a post about FAITH. After that first conversation with her, I could not get this song out of my head. It is by a Christian Music group named Jars of Clay. The song is called (Faith) Like A Child. 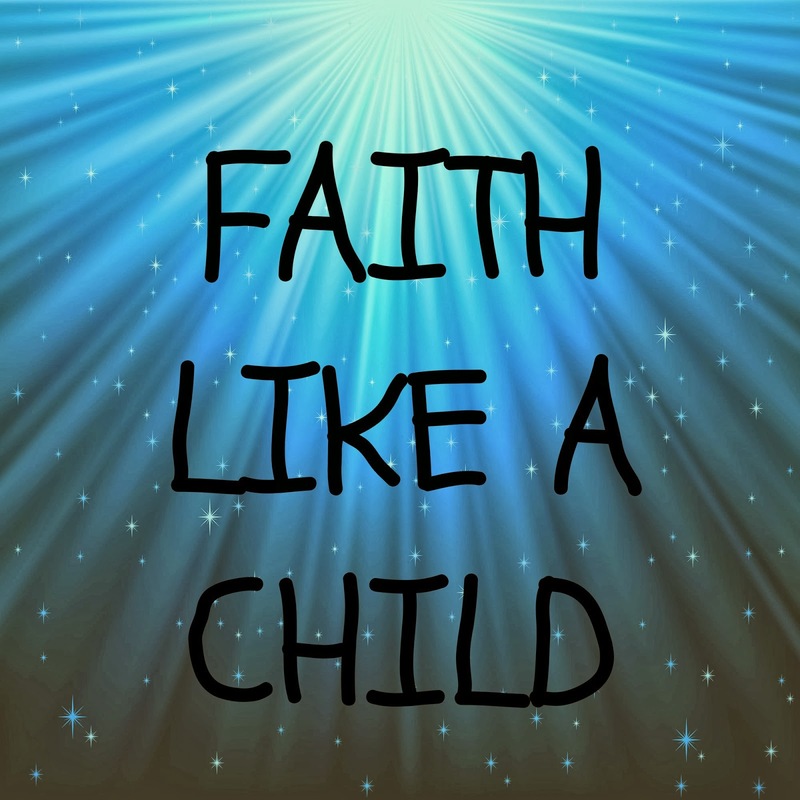 Faith like a child. Faith that is instinctive and whole. Faith that is not weakened by things of the world like disappointment or fear. Faith that just is. That's the kind of faith Emily has - faith like a child because she is a child. Her faith hasn't been weakened by loss or hurt or knowledge of evil in the world. Her faith is innocent and pure. She sees the good without question. She believes without doubt. Emily's faith amazes me and I can't help but wonder how much more wonderful our world would be if more of us had faith like a child. Faith like Emily. Faith in whatever higher power you choose to believe in. Faith in others. Faith in ourselves. Simple, whole-hearted, perfect faith. Lisa, I totally believe in a higher calling or faith. We are Catholic and I was raised to believe in the afterlife. As a child, I had a few interesting things happen and always felt that my grandmother, who passed away when I was 18 months old was an angel watching over me. We also lost my grandfather back in 1999, but I swear during my delivery with Emma he was close by and watching out for me when I prayed to him during a few close calls. As well, as after we lost my grandmother, I still swear she was responsible for watching out for my high risk pregnancy. So, yes I totally believe and do think your daughter is onto something here. Thanks for sharing Janine!! I definitely believe in God and Heaven, but just haven't experienced that overwhelming sense "a presence" at any particular time. Fortunately, I haven't had any perilous moments when I really needed it. I do believe, but Emily's faith is deeper and it just amazes me to see it in her at such a young age! LOVE LOVE LOVE LOVE THIS!!!!!! Oh how beautiful and pure and amazing your sweetie is, and how it reminds me so much of "Heaven is For Real"... have you ever read that book? I read it to my 4-6 graders at church. It was simply incredible. SO beautiful this post is- and such a powerful message! I HAVE to share this post with you- I think you will totally resonate with it considering your daughter! Thank you so much Chris! I have not read that book but I will have to check it out. I just read the post you linked and what a powerful story it was! I love how you pointed out that she saw what others wish they could see. Awesome! That's just beautiful. 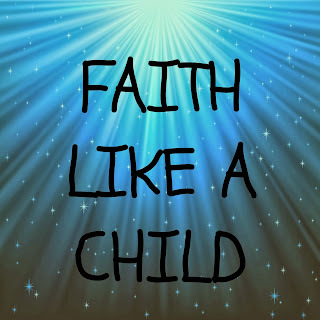 Faith like a child. My daughter seems so intuitive sometimes that it scares me. She makes me a believer in a lot of things! We are not a very religious family, and it's tough because I want my kids to be spiritual in some regard, but it's hard to settle when we are mixed. They are Christian and Jewish, but really, conversations like the ones you described above? That is all I need. I need that more than settling on church or temple, or one way of thinking or another. It's about feeling. And faith. That would be tough, Tamara, but like you said, its not about which religion you are or even which God you worship. It's just about having a deep, complete faith. Beautiful! I hope she always keeps that faith! I remember asking my mom the same questions. Some kids are really deep thinkers- sounds like you've got a special one. Thanks Sarah! She's a sweetie! Thank you Jodi! I'm certain you will find the answers when the time is right! This is absolutely beautiful Lisa! How amazing it must be for you to see your daughter connect spiritually like that! Beautiful, Lisa. Simply heartwarming. It sounds like you have a real sweetheart. And I *love* Jars of Clay and especially that song. I used it in a talk I gave on a high school retreat.